Ninety nationals of Somalia and two Kenyans arrived at the Jomo Kenyatta International Airport in Kenya, on Wednesday, after being deported from the US. The deportees were said to have arrived at the airport at midday aboard Omni, an American Charter Airline. 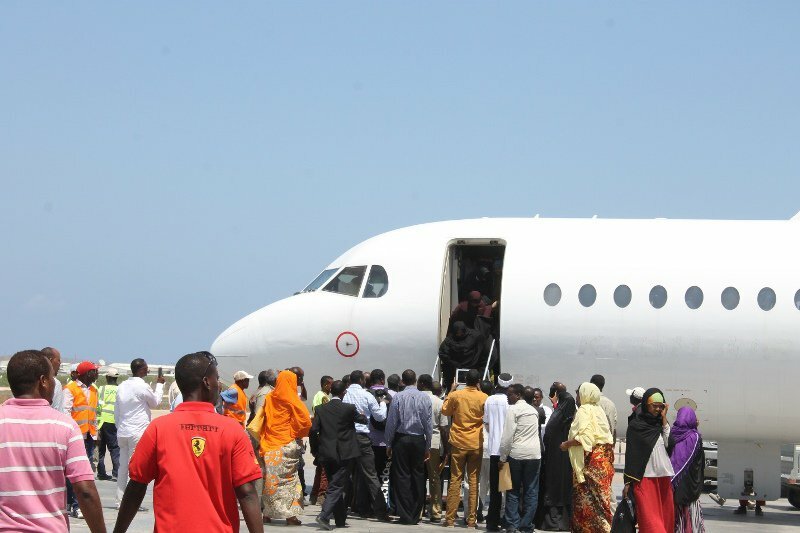 The Somalis reportedly boarded a Juba Airways flight that left for Mogadishu, capital of Somalia, at 3pm. According to Daily Nation, a Kenyan newspaper, sources at the airport were quoted to have said the travellers were accompanied by security officers from the US. Zipporah Waweru, an official of Jomo Kenyatta airport, confirmed that there had been a plane carrying Somalis in transit to Mogadishu, but she could not confirm whether they were deportees. “They have left and to me, they looked happy so I cannot for sure tell you that they were deported or not,” she said. The deportees are the first set of Africans to be affected by the immigration policy of President Donald Trump, who has vowed to crack down on millions of immigrants in the US. Trump had earlier disclosed his plans to sign executive orders which would lead to the imposition of visa ban on 7 predominantly Islam nations – three from Africa. The countries targeted are Iraq, Iran, Libya, Somalia, Sudan, Syria and Yemen.